CASTLE ROCK, Colo. (October 11, 2018) - Winter weather swept into the front range of the Rockies, forcing a cancellation of the Charlie Coe Invitational at Castle Pines Golf Club. The Denver area got their first snow of the season, and with temperatures at the golf course hovering at or below freezing, with no change in the forecast, tournament organizers canceled the event. The 2018 Charlie Coe was moved from its traditional spot in early June to early October, a move that was also made in 2016. With the cancellation, Jonathan Marsico and Ben Hayes retain the title of defending champions for another year. Marsico and Hayes have won the last two Charlie Coe Invitationals. 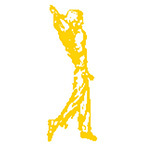 The Charlie Coe Invitational, organized by Mike Timbers, is played annually to honor one of the greatest amateurs ever. Coe is remembered for winning the U.S. Amateur twice, and for captaining the Walker Cup and Americas Cup teams. His first national amateur win came in 1949, and then again in 1958. Defending his title a year later, Coe lost to Jack Nicklaus. Coe had a distinguished Masters record. An Augusta National member, he played in 19 consecutive Masters, and finished as low amateur six times. He tied Arnold Palmer for second, behind Gary Player, in the 1961 Masters. In 1998, his alma mater, the University of Oklahoma, dedicated the Charlie Coe learning Center, a state of the art teaching facility. Coe was a member at Castle Pines until he died in 2001. The Charlie Coe Invitational, organized by Mike Timbers, is played annually to honor one of the greatest amateurs ever. 54-hole two-man team event for mid-amateurs and seniors, max handicap combined 4.0. Inquire by letter and golf resume.